Need to store garden equipment, a large lockable area for your cars, dream of a man cave or have bigger problems with storing large machinery? Our Garden Sheds Perth Team have the solution for you! Add stylish and sturdy storage space to your home with a garden shed or garage from Venture Outdoor. Our Garden Sheds Perth Team custom build outdoor sheds and garages that are fully engineered and made from top-quality materials such as Australian steel. So they’ll truly stand the test of time. Our storage and garden sheds are strong, stylish and easy to install. 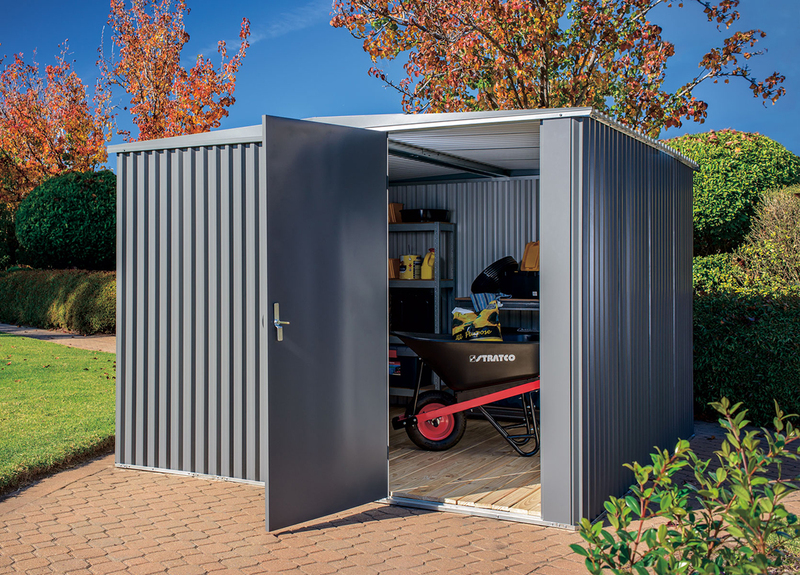 From small lockers to large workshops, Venture Outdoor has quality storage or garden sheds in a huge range of colours, sizes, and styles—like opting for Stratco gable roof shed. The Venture Outdoor builder will work with you to design a shed that perfectly suits your home and landscaping. Need planning permission? Don’t worry, we’ll take care of it. Being fully conversant with council regulations, we can handle all the red tape and paperwork, leaving you time to relax and get ready to enjoy your new outdoor addition. Give us a call on 0409 980 776 or fill out the form below and make your dreams a reality.